Well, where do I begin? I had prepared another article for this month, and then we sent out the surveys. So, I decided to change my direction and address some of the issues that are arising through the survey responses. Let me first say, THANK YOU! Thank you for your interest in our organization. We have already received many survey responses and they are honest. It is this honesty that will enable us to work together and build a stronger Grange that truly meets the needs of its members; and that was the point. Please if you have not responded as of yet, please do take the time to do so. A full response to the survey will be sent later this summer after all surveys are received, the deadline is 5/31/12, so keep them coming. This is a note or notice if you will, to the Officers and Director of the State Grange. VISIT, many members have commented on their survey we are not visible. It is our duty and obligation to be visible and supportive of all Community and Pomona Granges. We, the Pink Sash wearers, only do so because the membership has given us that right. We serve them, so, we serve at their will, so, let’s serve them. VISIT!!!!!! 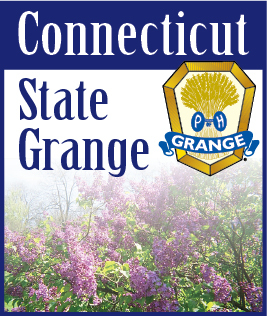 Now that being said, Granges cannot have it both ways, you cannot be legitimately concerned no one from the State Grange visits your Grange, and then be upset, the State Grange or “Big Brother” is watching you once there are more visitations. There are quite a few who are concerned with the length of their meetings. This issue falls solely on the shoulders of the Master/President. It is the responsibility of him/her to maintain order at all times, at the same time making sure all members have the opportunity to be heard. Maintaining order and efficiency is key to a productive meeting. This is sometimes challenging, but we accept that responsibility when we take our oath of office. We as members need to continue to challenge our leadership to meet our needs. Continue to challenge the WHY. Why do we need to have EVERY detail in Committee Reports, why do we do what we do? Some things we cannot change without approval by the Delegate Body of the National Grange as each Grange is bound by the Digest of Laws. Please continue to challenge your Grange Leadership, at all levels. By having an open dialog, we will strengthen our Granges to unimaginable heights. I am always happy to discuss these matters with any Grange. Please keep the surveys coming, they are and will help us to build better programming that meets your needs. There will be a complete report out on the entire survey, with responses later this summer. As I stated earlier, these surveys are very enlightening, and I appreciate your honesty and desire to see a better, stronger Grange in your Community and State. This is YOUR Grange.